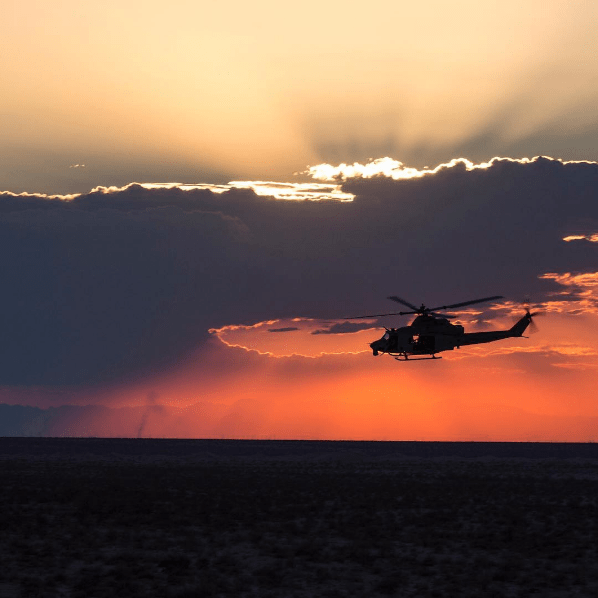 How do the armed forces of the United States use Instagram? How can people communicate with our men and women in the military on this social channel? Over the last few years, the U.S. military has become more active on social media. Since we first reported on how the U.S. military was using Instagram in November of 2016, the total Instagram audience for all military branches has increased by 1,571,000 to 4,269,000 - a 58% increase. And yet, a little over 15 months since we first compiled the data, the percentage breakdown of Instagram followers has remained largely unchanged. The only significant change is that the Army went from having 20% of all the military's Instagram followers to 23%, whereas the Marine Corps dropped from 36% to 33%. What's more, we still see similar trends in that some branches continue to be more active than others. For example, in February of 2018, the U.S. Navy only posted to Instagram 12 times. During the same month, the U.S. Coast Guard posted 84 pictures and videos on Instagram - with many as part of the service's celebration of Black History Month. The purpose of this data is to help citizens, businesses, and other government agencies understand what is of interest to, and how to communicate with, the different branches of the U.S. military on Instagram. Which U.S. military branch has the most Instagram followers? Over 33% of all the total followers for U.S. military Instagram accounts belong to the U.S. Marine Corps. However, this is down from 36% about 15 months ago. During that time, the U.S. Army has experienced tremendous growth - increasing their Instagram follower count by 81% to come in at 23% of all followers. Despite being one of the smallest (in terms of active personnel) of the military branches, the US Marine Corps had almost double the amount of Instagram followers as the next highest branch (US Army), and 7 times the audience of the US Coast Guard in 2016. Which U.S. military branch has the most Instagram posts? Despite being the smallest (in terms of active personnel) of the military branches, the US Coast Guard is incredibly active on Instagram - posting content several times a week. However, as other branches have increased their Instagram activity, their percentage of all military posts declined from 50% to 47%. The biggest gainer? The U.S. Army, which increased its number of posts over the last 15 months by a whopping 433%. Despite being the smallest (in terms of active personnel) of the military branches, the US Coast Guard is incredibly active on Instagram - posting content several times a week. They have produced more than 2x as much content as the Marine Corps and 21x more content than the US Army. The official U.S. Air Force account on Instagram is at: https://www.instagram.com/usairforce. They specify in their profile description that external links or following of accounts is not equal to an endorsement. The US Air Force is only following 144 Instagram accounts (up 7 from 15 months ago). Notable follows include: The Washington Nationals, GoPro, HuffPo, The TODAY Show, and the WNBA. The Air Force is no longer following the KC Royals. But they do still follow different fighter wings, air force bases, and the British Army. As of 3/5/2018, the U.S. Air Force has 767,000 followers on Instagram. This is up from 479,000 15 months ago - an increase of 60% during that time. As 3/5/2018, the U.S. Air Force had made 1,396 posts to Instagram. This is up from 1,089 15 months ago - an increase of 28%. 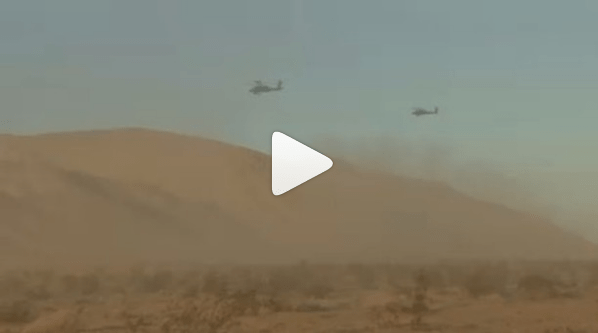 Videos that have been popular on the Air Force Instagram account include action videos of fighter jets, as well as launches. Those posts have generated over 30K views. Other videos that highlight specific planes, such as the C-130 Hercules, also are viewed at high rates. 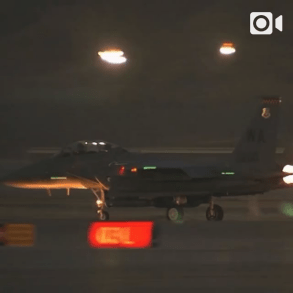 The time-lapse video of a F-16 at sunset was incredibly popular. 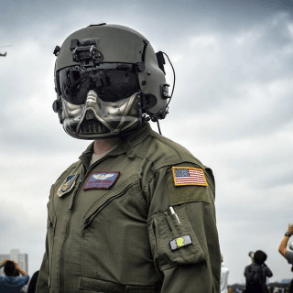 Others popular images over the last six months include the Star Wars helmet, refueling of a Raptor, other pictures of mid-air refueling efforts, and pictures of groups of fighters in the air. #Repost @dodwarriorgames (@get_repost) ・・・ JUST ANNOUNCED: @usairforce to host the 2018 @DeptofDefense #WarriorGames, returning to Colorado Springs at the @af_academy June 2-9.
Who Is The Air Force Following On Instagram? The Air Force is following 144 account (3/5/2018), which is up from 137 on 11/20/2016. For purposes of our data collection, we have excluded non-Air Force accounts. As noted above, the Air Force does follow media websites, sports teams, and other non-military related Instagram accounts. Click to expand the directory of military-related accounts. Official 173rd Airborne Brigade page. The official voice of the world’s first and finest Joint Reserve Base. The mission of the 20th Fighter Wing is to provide combat-ready airpower and Airmen to meet any challenge, anytime, anywhere. The mission of the 71st FTW is to develop Airmen, deliver pilots and deploy warriors. 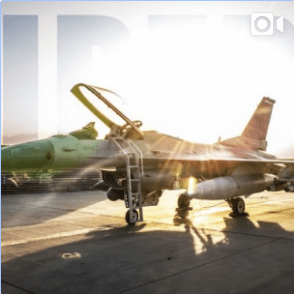 The official Instagram of the 124th Fighter Wing, serving the state of Idaho and the U.S.
Air Force Reserve’s only F-16 unit in Texas. We train and deploy combat-ready Airmen. Only AF Reserve unit in Ark. We work, train on and fly C-130s and stand ready to provide combat ready tactical airlift and support worldwide. Welcome to the 59th Medical Wing official Instagram site. For more information, photos, videos and news visit our Facebook page. “These things we do, that others may live.” Use #920rqw. Keep comments clean. Welcome to the official Instagram site for Edwards Air Force Base! Follow us for information, news, photos, videos and more! Official Instagram account of #AltusAFB and home of the 97th Air Mobility Wing. #C17 #KC135. Holloman Air Force Base supports national security objectives by deploying worldwide to support peacetime and wartime contingencies. 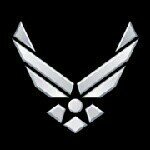 The official Instagram of MacDill Air Force Base. 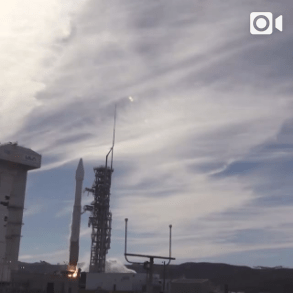 Mission: One Team Delivering Assured Space, Launch, Range, and Combat Capabilities for the Nation. The official Instagram for the 501st Combat Support Wing. Air Base is a U.S. Air Force base in Germany and serves as the home to the 86th AW, 435th AGOW and the 521st AMOW. Home of the B-52. Deter, assure. We are the mighty deuce! What Are Some Popular Instagram Accounts Related To The U.S. Air Force? While the Air Force posts a lot of content, there are others who post content that supports the Air Force. These accounts have high visibility within the Air Force community, and should be seen as strong influencers. Click to expand the directory of accounts. We post about aircrafts & military jets from all over the world. Swedish, internationally published, aviation photographer. Specialising in air-to-air-photography. All photos published here are my work. What Are Some Popular Instagram Hashtags Related To The U.S. Air Force? 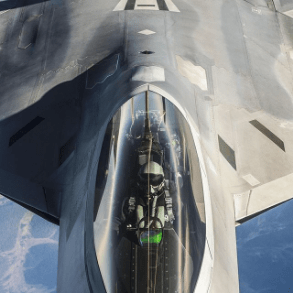 We have collected some of the most popular Instagram hashtags used with posts for the Air Force. There may be other events or hashtags that the Air Force uses, so it is important to monitor trends to seize on any new hashtags. Click to expand the directory. 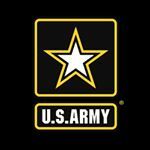 The official U.S. Army account on Instagram is at: https://www.instagram.com/usarmy. The US Army’s website: www.army.mil. In 2016, the US Army was not exceptionally active on Instagram. Over a two month period they posted 40 times to Instagram, which averages out to 5 times per week. The US Army Instagram account did not follow outside media organizations (only the Army Times) or sports teams (only Army college sports teams). 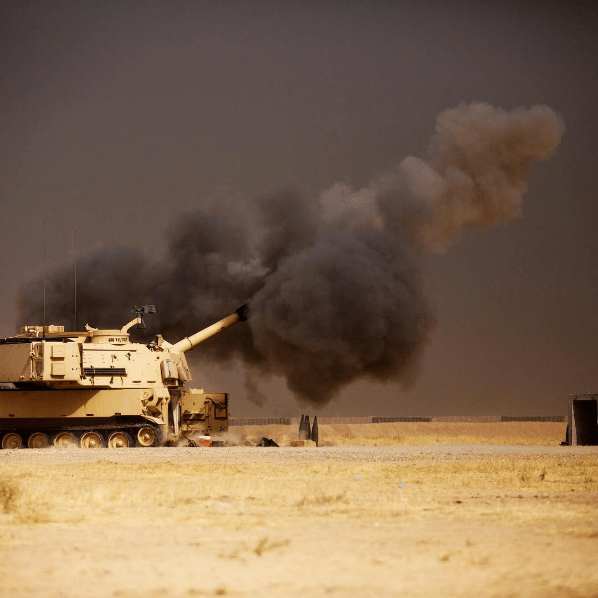 Mostly, the Army followed National Guard units, the other military branches, DoD, and a series of civilian federal agencies. However, the U.S. Army has changed its social media tactics over the last 15 months. A 433% increase in posts to Instagram has resulted in an 81% increase in followers. Though the total number of posts is smaller than any of the other service branches, the growth is by far the largest. What's more, growing to 1 million+ followers means that the Army now has the second largest follower base. As of 3/5/2018, the U.S. Army has 1,000,000+ followers on Instagram. This is up from 551,000 15 months ago - an increase of 81% during that time. As of 3/5/2018, the Army has made 762 posts to Instagram. This is up from just 143 15 months ago - an increase of 433% during that time. The Army likes to showcase its service men and women in action. The most popular posts have involved training exercises. Soldiers who have participated in specific types of training in the past comment frequently about their experiences. Live action photos, such as the firing of the Paladin (bottom right) also are popular. Providing images that show support for the Army mission or training are likely to be well-received by the Army, its soldiers, and others. Caption this #throwback for #SoldierSaturday. All week the #USArmy will feature #StrongEurope and #BlackSea region exercises. #SaberGuardian is the largest of 18 exercises going on in the region this month. 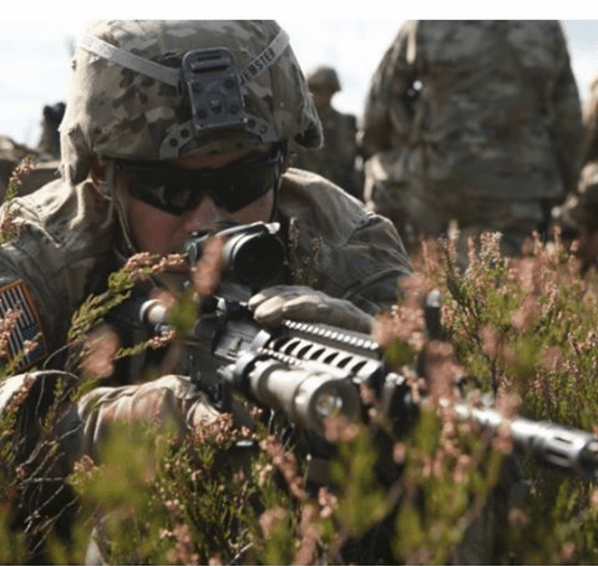 Saber Guardian is a @US_EUCOM, @USArmyEurope-led, multinational exercise that spans across Bulgaria, Hungary and Romania with over 25,000 Service members from 22 allied and partner nations. Who Is The Army Following On Instagram? The Army is following 66 accounts, which is up from 49 accounts in November 2016. For purposes of our data collection, we have excluded non-Army and non-military accounts. As noted above, the Army does follow media websites, some non-military government agencies (NOAA, TSA and U.S. Fish and Wildlife Service), and other non-military related Instagram accounts. Click to expand the directory of military-related accounts. This account is managed by the CTNG PAO. Official Instagram of the Kansas National Guard. Follow us at facebook.com/TheKansasNationalGuard. Official account for the National Guard Bureau. National Guard: America’s First Military Responders. The official Instagram presence for the Virginia National Guard. Official Instagram page of the Indiana National Guard. #USARAK’s official Instagram page! Follow us for exclusive photos & videos of Arctic Warriors around the globe! #FortJackson’s official Instagram. 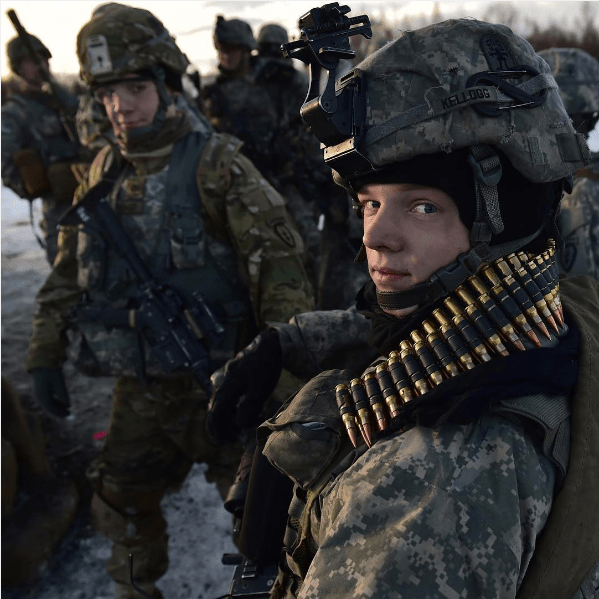 Follow for photos of #Soldiers at the largest & most active Initial Entry Training Center in #USArmy! The Old Guard’s official Instagram page, where you can find the latest photos and videos from the Regiment’s daily operations. The Official Instagram page for goarmy.com. What Are Some Popular Instagram Accounts Related To The U.S. Army? The Army does not post a lot of content. There are, however, others who post content that supports the Army and its missions. These accounts have high visibility within the US Army community, and should be seen as strong influencers. Click to expand the directory of accounts. Serving West Point and the Long Gray Line. We are the official alumni association for the United States Military Academy at West Point. 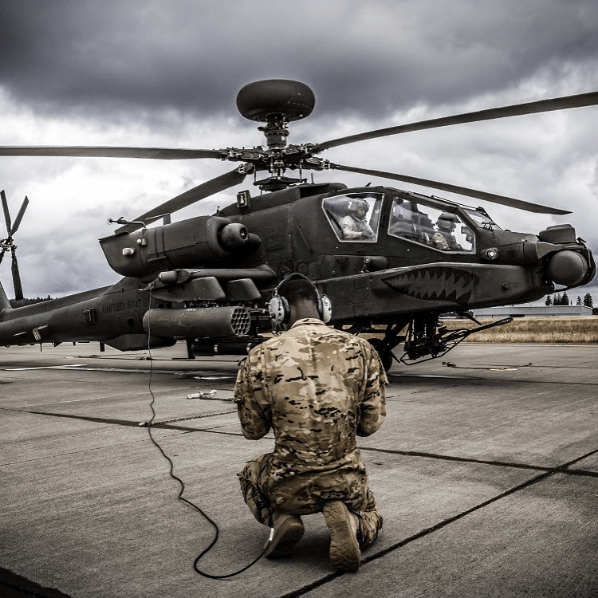 Our mission: develop, acquire, field and sustain affordable integrated state-of-the-art equipment to improve Soldier dominance in Army operations. 501(c)(3) non-profit corporation, funded entirely by private donations that seeks to lift morale in the Military & First Responder Communities. DVIDS is a 24/7 operation that provides timely, accurate and reliable connection between the media and the military serving around the world. What Are Some Popular Instagram Hashtags Related To The U.S. Army? We have collected some of the most popular Instagram hashtags used with posts for the Army. There may be other events or hashtags that the Army uses, so it is important to monitor trends to seize on any new hashtags. Click to expand the directory. The official U.S. Coast Guard account on Instagram is at: https://www.instagram.com/uscg. The US Coast Guard follows all the military branches, as well as several civilian branches, departments, and agencies of the U.S. government. They do not follow any media organizations. But do follow Canada’s military and the British Royal Navy. The Coast Guard used to follow three private accounts, which did not appear to have any direct connection to the service itself: Kevin Alvarez, Pretty Fly for a White Guy, and Ellie. Those accounts have been removed. The only business account the Coast Guard follows is for Iconosquare. It is possible they are a vendor. 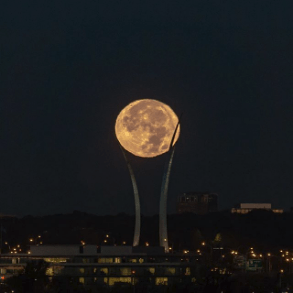 Though "liking" or "following" accounts does not equal endorsement, following this account stands out because it is unique from all the others. As of 3/5/2018, the U.S. Coast Guard has 209,000 followers on Instagram. This is up from 141,000 15 months ago - an increase of 48% during that time. As of 3/5/2018, the number of Instagram posts from the U.S. Coast Guard was 4,529. This is up from 3,095 15 months ago - an increase of 46% during that time. 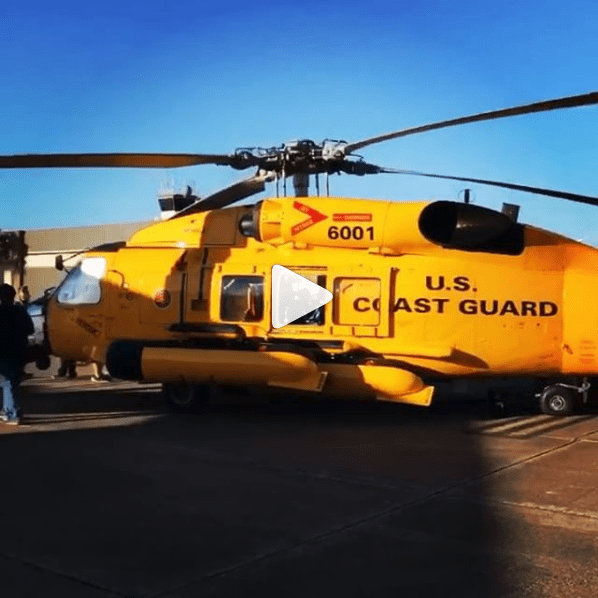 The Coast Guard shares a lot of pictures and videos from training operations, activities, and from the day in the life of Coast Guard personnel. Given the wide range of responsibilities of the Coast Guard, they share pictures including lighthouses along the US coast, personnel pets, events / activities, and other moments that go beyond their core mission. 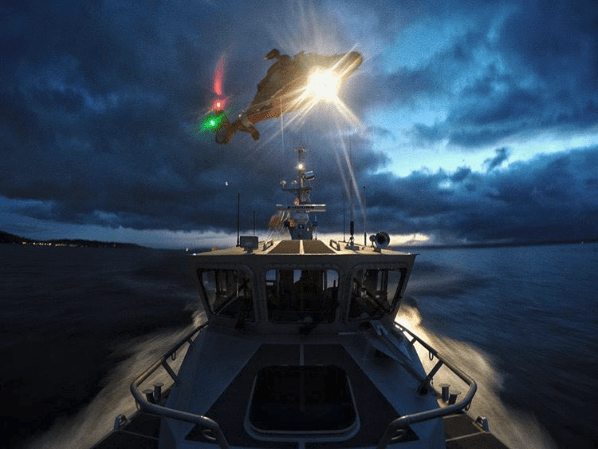 Capturing the Coast Guard in action is one of the most popular types of posts on their Instagram account. Over the past year, they have highlighted rescue efforts and salvage efforts in Puerto Rico and Houston - during and post-natural disaster. 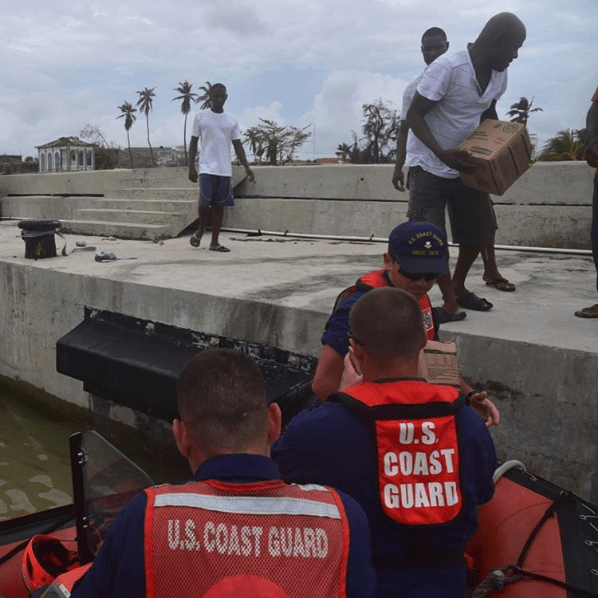 Photos also include supporting relief efforts in Haiti, rescuing illegal immigrants at sea, or conducting normal operations such as ship-to-ship refueling or nighttime helicopter landings. Who Is The Coast Guard Following On Instagram? The Coast Guard is following 56 accounts, which is up from 37 accounts in November 2016. Though the USCG does not have the same type of network the other service branches have, and they had no included other Coast Guard related facilities, that has changed over the last 15 months. 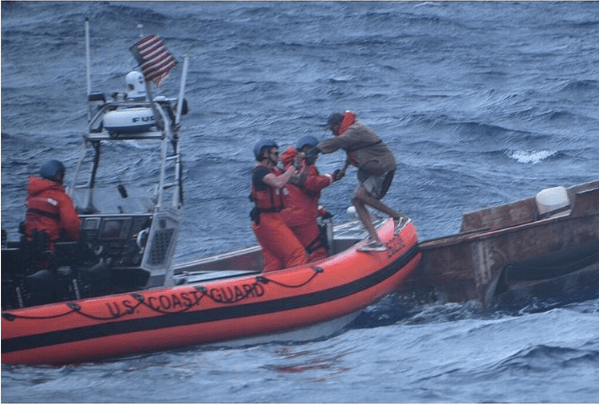 Never the less, our data reflects those accounts that have a more direct connection with the Coast Guard’s missions. Click to expand the directory. The official Instagram of Admiral Paul Zukunft, 25th Commandant of the @USCG. Follow me on Twitter @ADMZukunft. 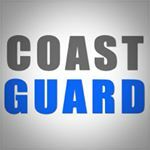 The U.S. Coast Guard Auxiliary’s official Instagram. Follow us at live.cgaux.org the official blog of the Coast Guard Auxiliary. The official #USCG recruiting page. We protect those on the sea, protect the Nation from threats delivered by the sea and protect the sea itself. What Are Some Popular Instagram Accounts Related To The U.S. Coast Guard? While the Coast Guard posts a lot of content, there are others who post content that supports the USCG. These accounts have high visibility within the Coast Guard community, and should be seen as strong influencers. Click to expand the directory of accounts. Official Instagram account of Redstone Arsenal Family and Morale, Welfare and Recreation. What Are Some Popular Instagram Hashtags Related To The U.S. Coast Guard? We have collected some of the most popular Instagram hashtags used with posts for the Coast Guard. There may be other events or hashtags that the Coast Guard uses, so it is important to monitor trends to seize on any new hashtags. Click to expand the directory. The official U.S. Marine Corps account on Instagram is at: https://www.instagram.com/marines. 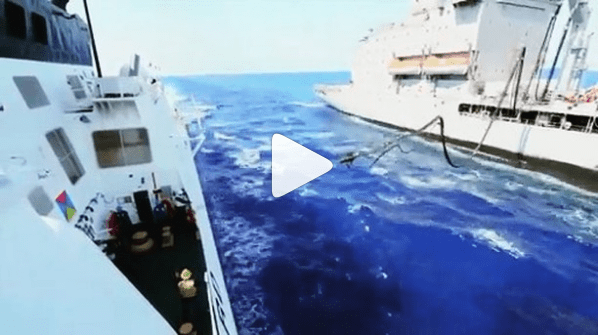 Though the US Coast Guard has produced more content, the Marines produce a great deal of content as well for their Instagram account – and have the largest audience of all the military service branches. When we originally started tracking, the Marine Corps was closing in one 1 million Instagram followers. They are now at 1.4+ million followers. While there is no doubt that the other service branches have made significant improvements in their social media activity, especially on Instagram, the U.S. Marines remain the leader in how they interconnect their platforms, and use mediums, like Instagram, to share their stories. As of 3/5/2018, the U.S. Marine Corps has 1.4+ million followers on Instagram making it the leader among the service branches, as well as one of the top Instagram accounts in the world. This is up from 968,000 15 months ago - an increase of about 45% during that time. As of 3/5/2018, the Marines have made 2,111 posts to Instagram. This is up from 1,265 15 months ago - an increase of 68% during that time. The US Marine Instagram account has some of the best photography and videos of all the service branches. The posts are not just from the Marine Corps, but from former Marines as well. 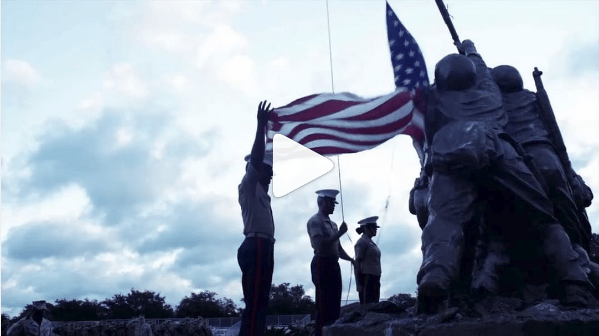 The kinds of posts and videos that are popular include funeral services for Marines of all generations. The Marine Instagram feed and its audience has a high level of respect for all fallen Marines. 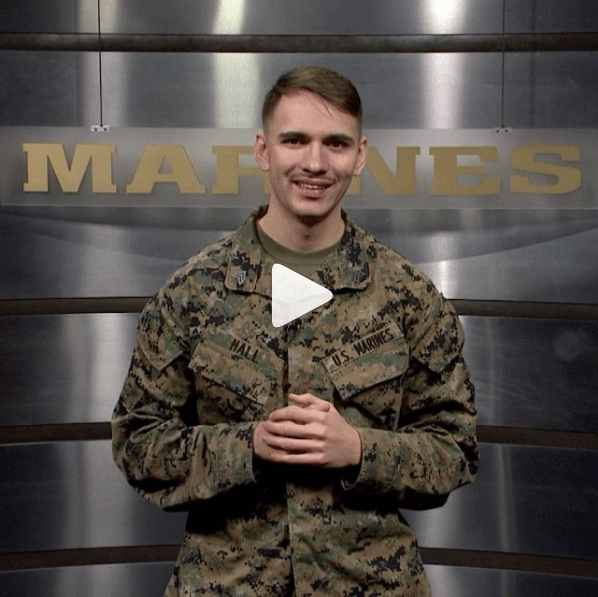 Another popular feature is “This Week In 15 Seconds” which is a short video synopsis of key activities going on in the Marine Corps. The report is connected back to the Marines YouTube channel for additional details. Other videos that are popular are training videos. 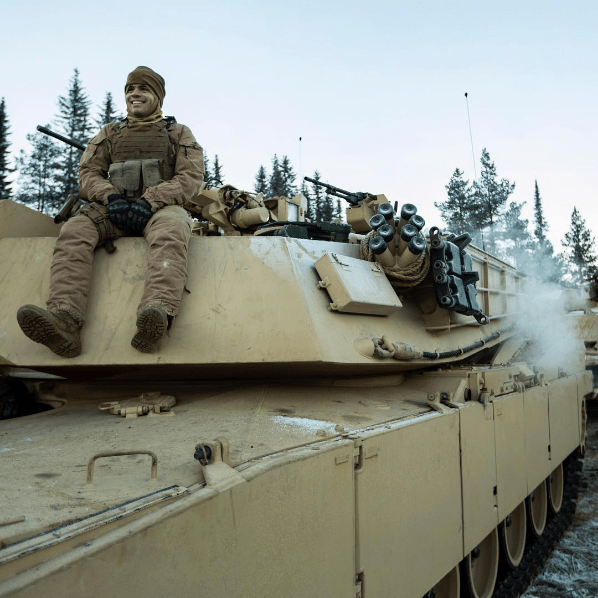 One highlight of jungle training earned the hashtag “badass.” Photos of training activities also are extremely popular – especially those that showcase work in foreign countries such as Norway. 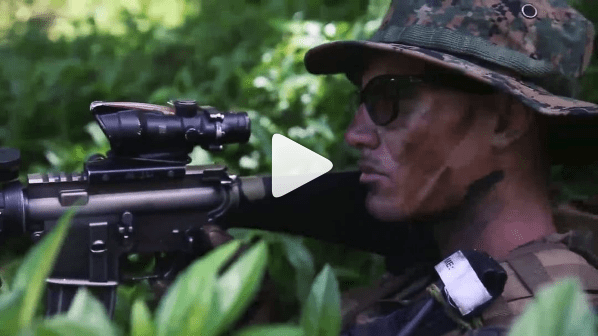 Who Is The Marine Corps Following On Instagram? The Marine Corps was only following 14 accounts in November of 2016. Of the 14 accounts, several have direct connection to the Marine Corps mission. As of 3/5/2018, they have increased that number to 18. For our purposes, we have limited the accounts we are highlighting to those with a direct connection. Click to expand the directory. Official Instagram for Marines West. Become one of The Few, The Proud, The Marines. SFMarines Use #WhyTheMarines to share stories of our Marines to inspire a new generation to write our history! We are the Marines of Naples Florida. The gatekeepers of the Corps. Send us a DM if you want more info! We augment, reinforce, and support the total force Marine Corps. We are the professional association of the #USMC. We publish the Gazette and Leatherneck Magazine. We support ALL #Marines through their career. 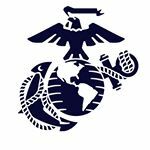 What Are Some Popular Instagram Accounts Related To The U.S. Marine Corps? While the Marines posts a lot of content, there are others who post content that supports the Marine Corps mission. These accounts have high visibility within the Marine Corps community, and should be seen as strong influencers. Click to expand the directory of accounts. Bringing you the best Marine Corps content! 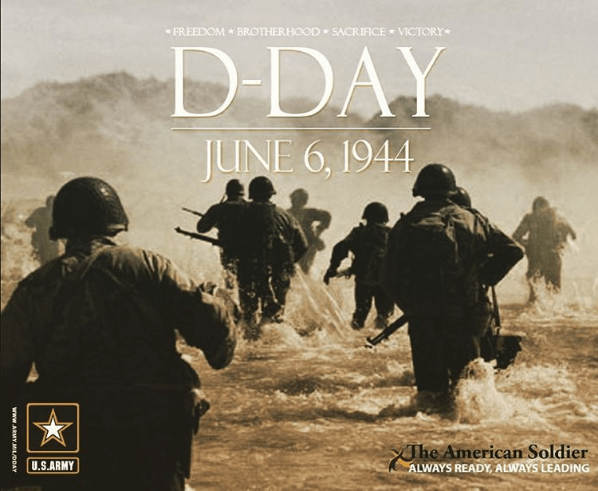 Remembering Those Who Gave The Ultimate Sacrifice – All Military and Tactical Content – Contact us via DM. What Are Some Popular Instagram Hashtags Related To The U.S. Marine Corps? 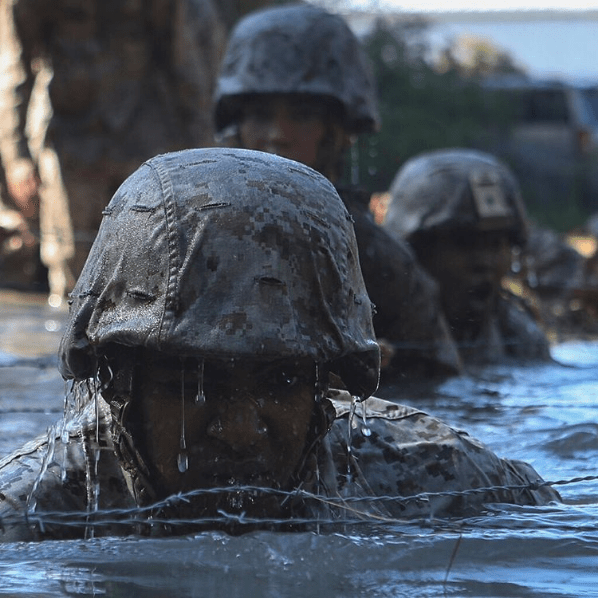 We have collected some of the most popular Instagram hashtags used with posts for the Marines. There may be other events or hashtags that the Marines use, so it is important to monitor trends to seize on any new hashtags. Click to expand the directory. The official U.S. Navy account on Instagram is at: https://www.instagram.com/usnavy. 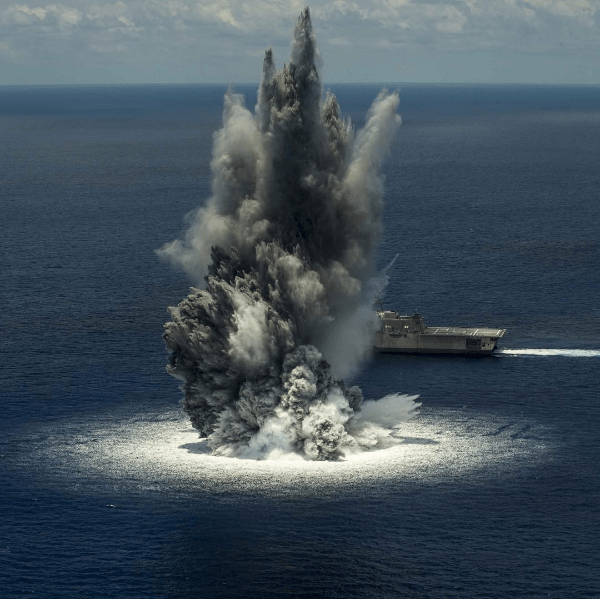 The Navy has not done anything significantly different since we first reported in November of 2016. However, they do produce excellent, well-thought-out content (especially videos) that really showcase their people and their mission. Overall, the Navy Instagram audience was 21% of the total audience for all the military branches, and accounted for 9% of all content in November 2016. As of 3/5/2018, those numbers are unchanged. As of 3/5/2018, the U.S. Navy has 893,000 followers on Instagram. This is up from 559,000 15 months ago - an increase of about 60% during that time. If the Navy Instagram account continues to grow at a normal pace, they could reach 1 million followers by August or September. 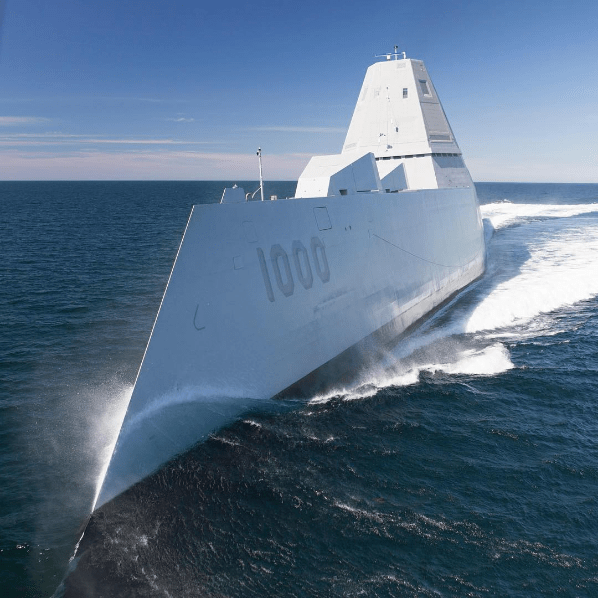 As of 3/5/2018, the U.S. Navy had posted to Instagram 830 times. This is up from 539 15 months ago - an increase of about 54% during that time. 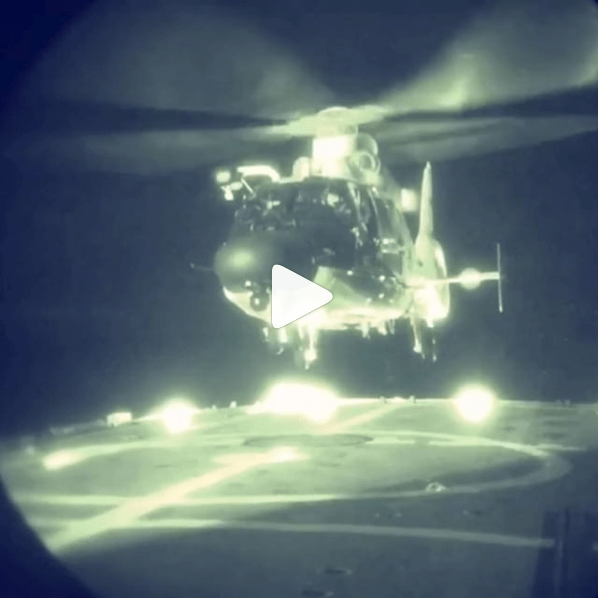 The Navy has done some exciting things with its video production. Placing a camera on the hull of the USS San Francisco to capture its 1,000th dive was very cool. 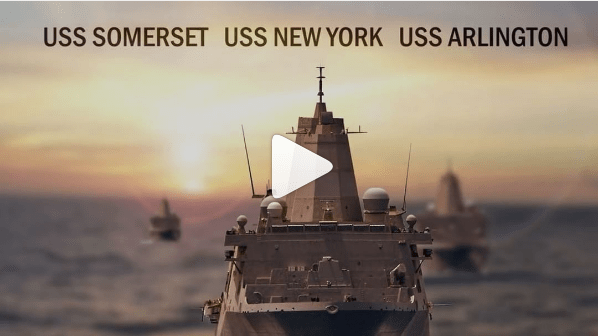 Likewise, the video production showcasing the ships made from the 9/11 sites is very moving. 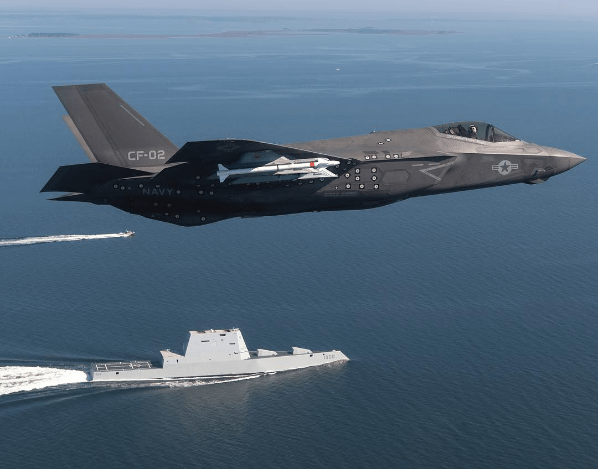 The Navy also uses images of its fleet in movement or engaged in training operations. The picture of a ship experiencing “shock trials” to test its durability is quite gripping. #WW2Flyover in #DC in honor of #VEDay70! Who Is The Navy Following On Instagram? The Navy is following 65 accounts, which is up from 60 in November 2016. For purposes of our data collection, we have focused on those accounts that have direct support for the Navy’s mission. We have exclude news / media organizations, as well as third party navies and civilian agencies within the US government. Click to expand the directory. 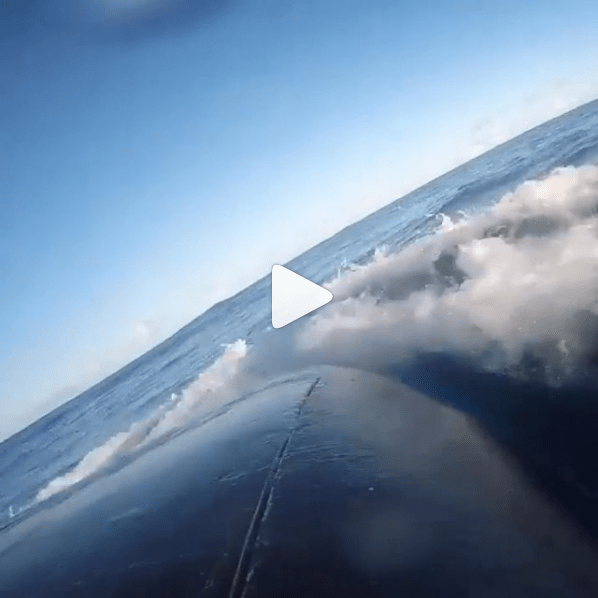 Official Instagram account of Naval Surface Warfare Center, Corona Division. Official Instagram account of NAS Whiting Field. The official Instagram for Strike Fighter Squadron 115. This page is dedicated to all our sailors and the families who support them. Warship. Carrier. Lead ship of the Nimitz Class. This is the official Instagram of USS Nimitz CVN 68. Follow us on facebook.com/cvn68. 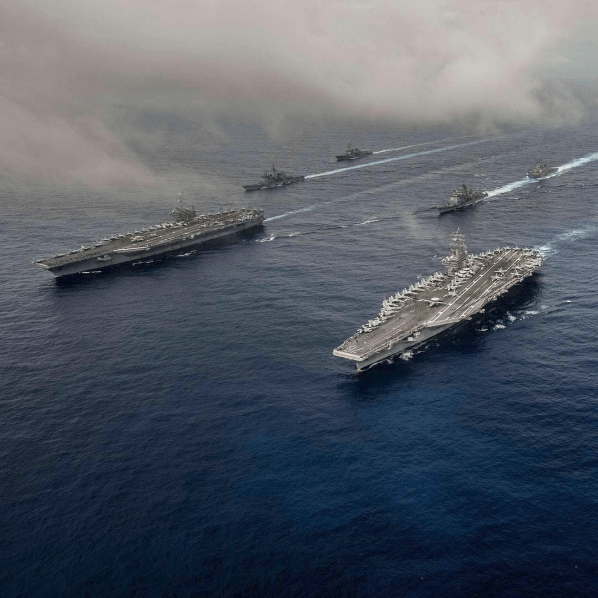 The world’s largest international maritime exercise, which is held biennially in and around the Hawaiian Islands. Official Instagram account of the Chief of Naval Personnel. 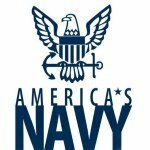 What Are Some Popular Instagram Accounts Related To The U.S. Navy? While the Navy posts content, there are others who post content that supports the Navy. These accounts have high visibility within the Navy community, and should be seen as strong influencers. Click to expand the directory of accounts. Official Instagram Account of the Naval History and Heritage Command. What Are Some Popular Instagram Hashtags Related To The U.S. Navy? We have collected some of the most popular Instagram hashtags used with posts for the Navy. There may be other events or hashtags that the Navy uses, so it is important to monitor trends to seize on any new hashtags. Click to expand the directory.